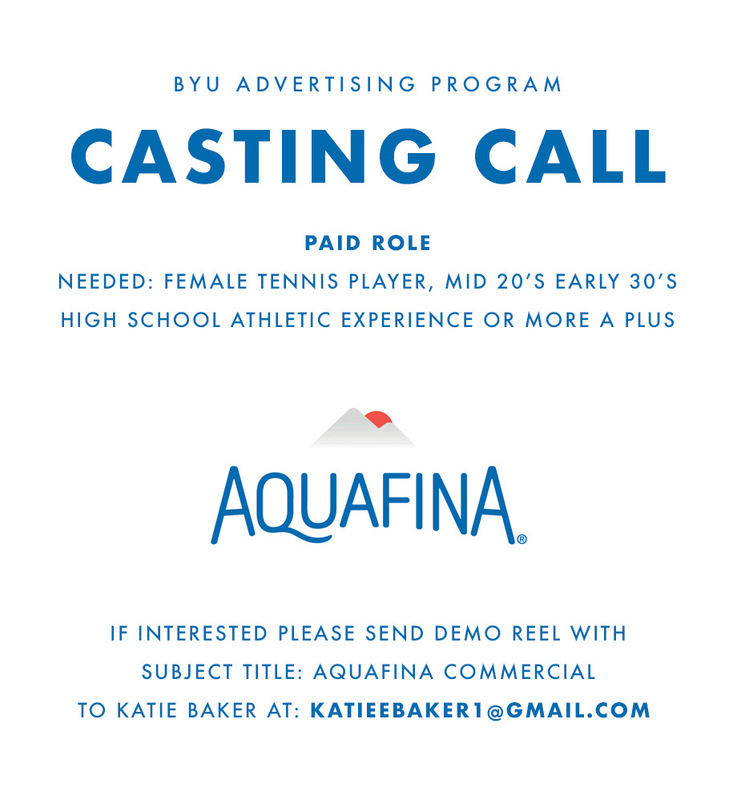 Paid BYU AdLab commercial for Aquafina. We’re looking for a female tennis player in her mid-20’s to early 30’s. Shooting November 15th near Saint George, Utah. Send demo reels to katieebaker1@gmail.com.